The must-attend Austin event takes place daily, March 14-28, 2015. Even if you&apos;re not into cowboys or bull riding, the live music roster is reason enough to make a day of it. 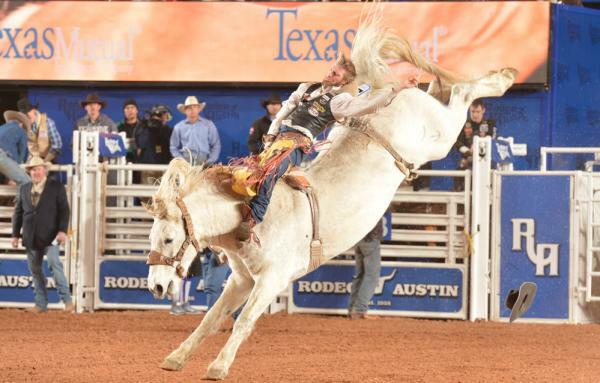 Rodeo Austin has booked more than 130 live music performances for the 15-day Fair and Rodeo. Bull Riding at Rodeo Austin. Photo by Rodeo Austin. You&apos;ll find country, punk rock and so much more. Award-winning artists take the stage each night following the ProRodeo performance in the Luedecke Arena. The 2015 lineup includes Willie Nelson & Family, Dwight Yoakam, Panic! At The Disco, the Beach Boys, Boyz II Men and many others. View the full live music schedule.